The story of the season is on your local PBS station! The festive spirit in New Orleans has always been something special, with the native love for food, music and conviviality never limited to Mardi Gras. 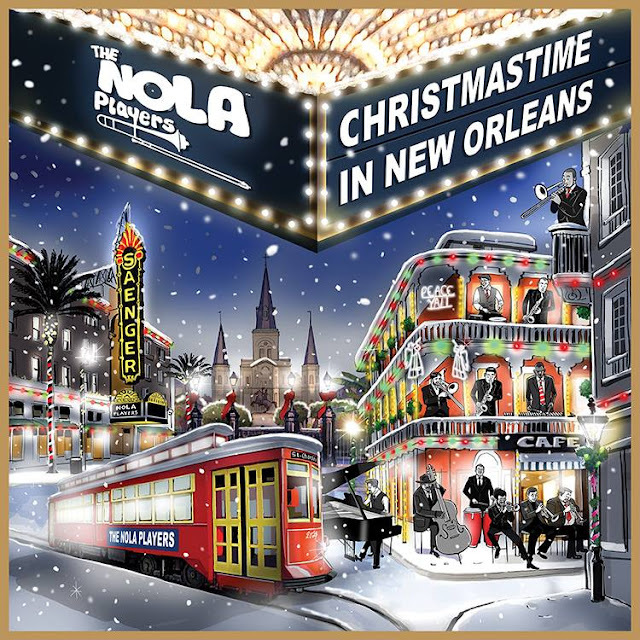 Holidays from Thanksgiving to King’s Day have a distinctive feel in the Crescent City, as does Christmas – with Yuletide songs having long been given a magical, one-of-a-kind spin by New Orleans-bred artists from Louis Armstrong and Fats Domino to Dr. John and Harry Connick Jr. Christmastime in New Orleans – a new album featuring some of the Big Easy’s finest jazz musicians in beautiful, custom instrumental arrangements of holiday favorites – provides a freshly swinging soundtrack for the holiday. Sure to be an evergreen choice when stoking the mood for Noël and Navidad New Orleans having been a multilingual, multicultural place since its founding, after all Christmastime in New Orleans includes such merry classics as “Silver Bells,” “Deck the Halls” and “Jingle Bells,” the latter given a slinky, finger-snapping treatment like none other. And the hip “Christmas in New Orleans” recorded so notably by Louis Armstrong with the Benny Carter Orchestra in 1955 sounds fresher and more inviting than ever, like the musical equivalent of mistletoe. 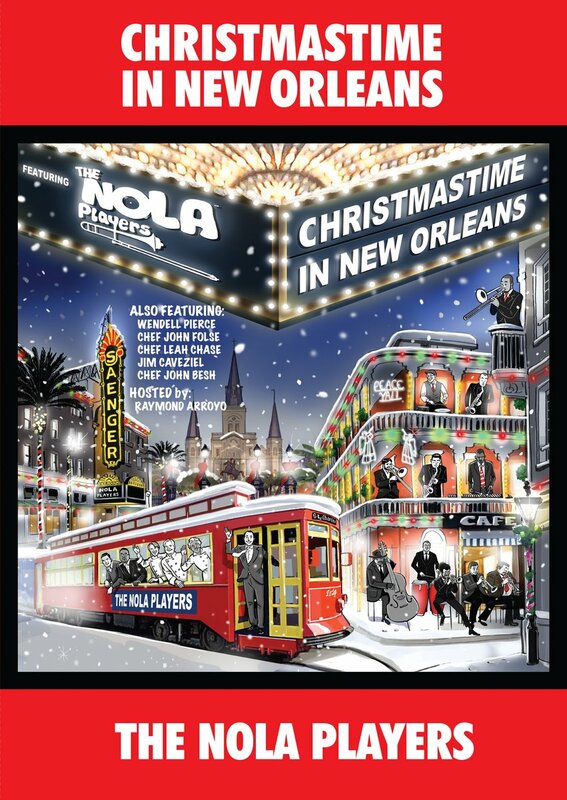 The sleek yet effervescent sound of Christmastime in New Orleans comes via the 18-piece NOLA Players, a supergroup ensemble convened from the city’s deep well of musicians. These instrumentalists live and breathe music on a daily basis in the Crescent City, having interacted with each other for years from philharmonic dates to parade lines, from jazz combos to R&B bands. They have played in orchestra pits and dive bars, for church services and funeral parades, for dance parties and arena shows. Their talents have taken them far and wide, too, as they have performed with the biggest stars on the most illustrious stages. But for all the ravishing sophistication of the group’s sound, there remains local spice that you can hear in the funky feel of “I Saw Three Ships.” One can also hear echoes of old New Orleans in “I Heard the Bells,” which sparkles like tinsel thanks to the piano intro by Mike Esneault. As the project’s arranger and music director, Esneault – an Emmy Award-winning composer-arranger who has worked with stars from Allen Toussaint and Dr. John to Terence Blanchard and Elvis Costello – brought the long-held vision of AimHigher executive producers Kevin and Monica Fitzgibbons to resonant life. 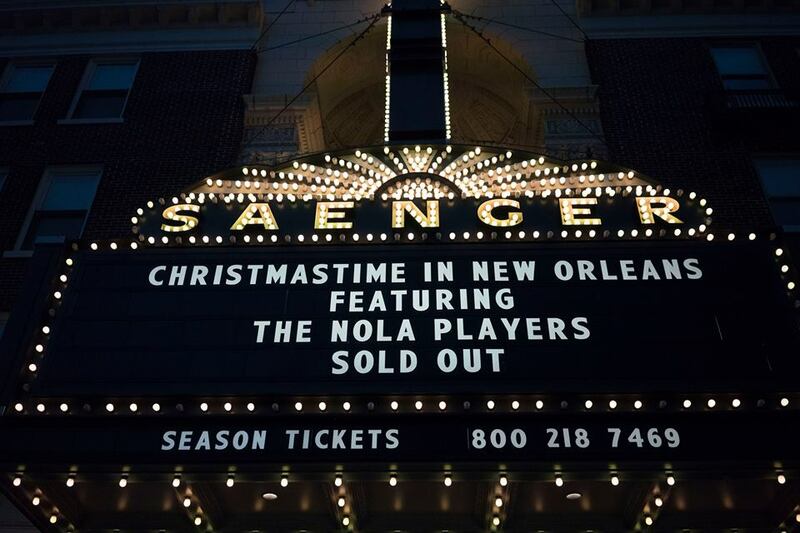 The recording sessions for Christmastime in New Orleans – helmed by multiple Grammy Award-winning producer Christopher Alder – were held onstage in studio conditions at the historic Saenger Theatre on Canal Street in downtown New Orleans. Set up in an intimate circle, the musicians played right to each other as the songs were blessed by the hall’s warm, open acoustics. About the sessions, Esneault says: “It couldn’t help but feel like family. I mean, I’ve known these guys playing around town for ages. The bass player, Roland Guerin, man, I’ve known him for going on 30 years. But, yeah, we’re like musical family, so that made it easy to get the right vibe for this holiday music. 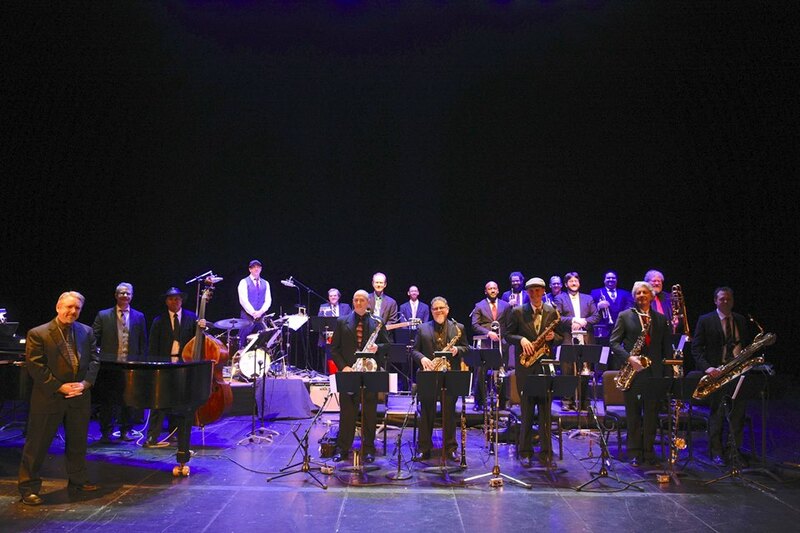 The NOLA Players lineup also includes vibraphonist/percussionist Jason Marsalis, a member of the first family of New Orleans jazz, brother to jazz superstars Wynton and Branford and son of the beloved pedagogue Ellis, who taught Esneault and so many of the other players in the band. About the New Orleans holiday spirit, Jason says: “It’s true that we have our own way of celebrating down here. We have Mardi Gras and our own festive events like Jazz Fest and even Saints games. But when we do Christmas, something people celebrate all over the world, we do it in our own way, with our special food, party atmosphere and things like Christmas in the Oaks, at City Park. To Terrance Taplin, the lead trombonist of the NOLA Players, the secret to the sound of music in Crescent City is daily life. “Yeah, life is the secret, just living here in New Orleans: going out to hear music on Frenchmen Street, taking your place in a Second Line, eating some good gumbo, playing in a dive to a handful of people but having a time. Just the spirit and joy of it and that came out with us playing in the round at the sessions for the album. I don’t think I’ve ever felt anything quite like it when recording, which can be almost like a scientific thing sometimes. But this was fun we were a tight group. 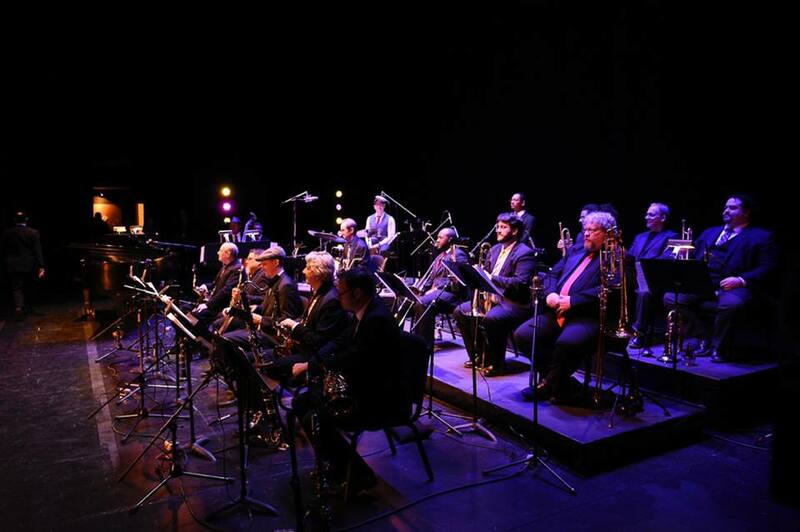 Along with the aforementioned musicians, the NOLA Players include organist Charlie Dennard, guitarist Mike Vila, trumpeters Bobby Campo, Ashlin Parker and Stephen Orejudos, trombonist Matt Wright, bass trombonist B.J. McGibney, and reed players Rex Gregory, Ray Moore, Tony Dagradi, John Reeks and Jason Mingledorff. For hit acts from around the world, these musicians constitute a who’s who of talent from the Big Easy. 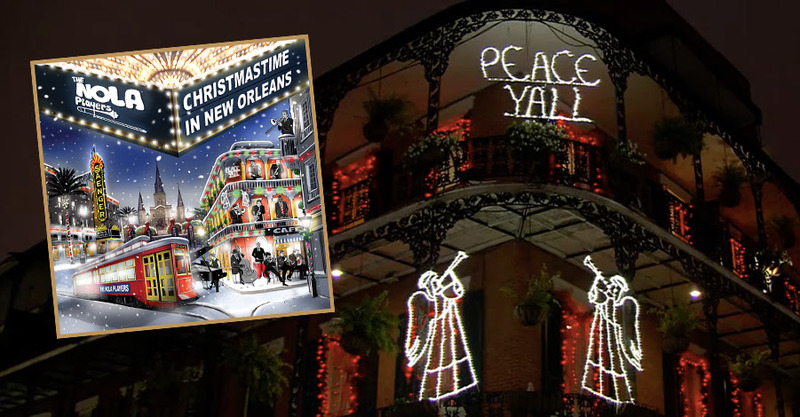 And with Christmastime in New Orleans, these native artists of diverse backgrounds, styles and ethnicities came together create something warm and enduring for all of us to enjoy at that special time of year. Reflecting on what the tunes of Christmastime in New Orleans mean to him, Taplin says: “I love them. Growing up, my Dad got me a holiday songbook, so I learned how to play my instrument with these melodies. To this day, I’ll warm up to these songs as the holidays come up and I’ll play them for my kids.